Dr. Grace Harriman and Dr. Gloria Lee received a citation from Mayor Jim Kenney for their work at iSmile Dental Group. Dr. Grace Harriman graduated from the University of Michigan School of Dentistry in 2011, completed additional training with a general practice and hospital residency in Brooklyn, then eyed professional opportunities. “I needed a place to call my hometown and start practicing my career,” she said. After a few years of working for dental offices, she opened her own practice in August 2016. She operates iSmile Dental Group, at 6573 Roosevelt Blvd. (near Harbison Avenue), in the Roosevelt Plaza in Lower Mayfair. Joining Harriman as an associate is Dr. Gloria Lee, her younger sister. 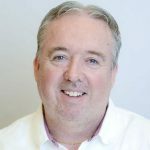 Lee graduated from Columbia University School of Dental Medicine and received additional training with a residency in Advanced Education in General Dentistry. She has been involved in many research endeavors and co­-authored several academic articles. According to Lee, there is meaning behind the iSmile name. “When you get better dental work, you smile more,” she said. “We’ve grown much more than I expected. I am grateful for that,” she said. 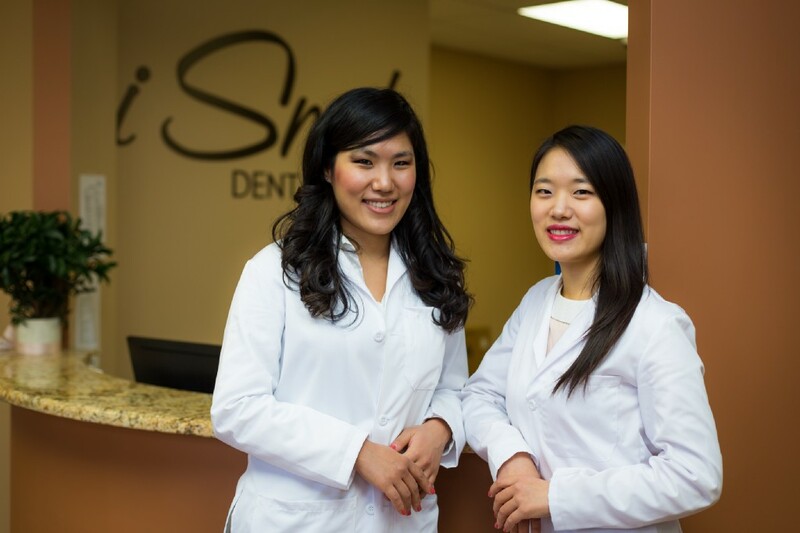 The dental practice is a member of the Greater Northeast Philadelphia Chamber of Commerce, and the business group earlier this year nominated Harriman and Lee, who are Korean-Americans, for recognition during Minority Enterprise Development Week. In 1983, President Ronald Reagan issued a proclamation declaring the first week of October as National Minority Enterprise Development Week. In 1984, Philadelphia celebrated the week for the first time. This year, the city offered more than 40 panels, forums, workshops and networking opportunities during the week of Oct. 2–6. Thanks to the nomination by the Northeast Chamber, Harriman and Lee each received a citation from Mayor Jim Kenney. While corporations and savvy businessmen own many dental practices in Pennsylvania, Harriman said the recognition from the Chamber and Kenney shows that a new owner-operated practice can succeed. Harriman said owning a dental office carries a big responsibility, but that she is happy she can practice her craft by suggesting only work that is necessary for a patient. “This is my profession. It keeps me going. I feel like I’m doing the right thing,” she said. The iSmile team also consists of four specialists, and there are six chairs in the office. “All of our doctors have completed residencies. That’s very, very important. We understand complex cases better,” said Harriman, noting that many states do not require residencies. By having so many professionals on board, the doctors can learn from each other. “We have a multi-disciplinary approach,” Harriman said. At iSmile, patients can come in for general dentistry such as exams, cleanings, polishings, fillings, crowns and pain-free root canals. There are cosmetic options, such as whitenings and veneers. Adults can be treated with Invisalign, instead of braces. Other offerings include metal-free implants, extractions and replacements. Because Harriman and Lee are relatively new to dentistry and their office has been open for only a little more than a year, the equipment and techniques are modern. As an example, they are able to detect cavities without the use of X-rays. Prices for patients, they say, are reasonable, but it’s the quality of work they stress. “Materials are going into your mouth, and it’s very important that it’s done properly,” Harriman said. Harriman and Lee stress the need for regular dental visits, and not just for a healthy mouth. Some studies have shown a link between ignoring dental care and developing diabetes, cardiovascular disease, pancreatic cancer and Alzheimer’s. “Dentistry is heathcare. It shouldn’t be business driven,” Lee said. The dentists encourage people to schedule an appointment before they have a tooth that is loose or aches. For patients who have advanced issues, dentures are an OK option, but preserving one’s teeth is preferable. Along the way, the dentists will show patients pictures of their teeth. “We take the time to show how the disease progresses. Education plays a huge role. It comes down to personal health and happiness,” Lee said. The education starts with adolescents, before dental care decisions become their responsibility. Hours of operation are 11 a.m. to 7 p.m., Monday through Thursday; 9 a.m. to 4 p.m. on Friday; and 9 a.m. to 3 p.m. on Saturday. There is plenty of free parking, and the office is handicap accessible. Financing options are available. Among the languages spoken are English, Korean, Chinese, Mandarin, Cambodian and Spanish.